I’m going to tell you my story on how I built and grew my virtual bookkeeping business. But, first, let me tell you a bit more about me and how I came about to start a virtual bookkeeping practice. I’m a CPA (not a requirement to have your own bookkeeping business) and I started my career working for a local CPA firm in Atlanta, GA 15 years ago. My mission was always to help small businesses through my accounting knowledge. I gained experience in forensic accounting, auditing, recruiting, and using technology to help streamline operations. I then joined a global construction company working directly with executives providing management reports and helping team members translate the numbers so they can better manage their projects. After a few years, I got pregnant and wanted the impossible (10 yrs ago). I wanted to work virtually from home. That was not an option with that company, so we agreed to part ways so that I could follow my dream. And, then, I focused on starting a virtual bookkeeping business. Before you take the leap out on your own, you need to prepare yourself and plan for the type of virtual bookkeeping business you want to create. I started my business with $1,000. My husband and I decided that was how much we were going to put towards my virtual bookkeeping business. While that was the initial funding, we also considered how much less our household income would be without my working full-time at a traditional job. Luckily, we were able to provide a safety net for ourselves with a substantial emergency fund. That has been one of our best blessings over the years. Now, it is also important to figure out what you need to properly be in business. Make sure you are checking your local and state regulations. For me, I needed a local business license, to register my LLC with the state (when I finally had one), and get an EIN for my business. You also want to start a business checking account. Check with your bank as to what you need to get that business account. Note – this is a great time to build a relationship with a local banker that could be a referral source for new business in the future. It pays to spend some time face-to-face with an actual banker because they can help you along the way. I absolutely have loved working with BB&T because it feels like a smaller, local bank but I get the benefit of all the technology that you expect from the biggest banks around. I think this is one of the most important parts when you start a virtual bookkeeping business. You are going to be virtual – just you are going to have to rely on technology. More specifically, it is time to embrace cloud technology. If you don’t, then you are just putting yourself at a severe disadvantage to all your competitors. Cloud technology is going to give you the most flexibility. Let’s talk about your computer. You’ll need something, that is for sure. Since my budget was so small, I went with what I had. And then, once I made enough money, I was able to reinvest that and get something new. If I had any choice from the beginning, I would have gotten a MacBook (laptop). If you are used to Windows, it can definitely be an adjustment, but I think it is totally worth it. I just don’t deal with hardware issues or needing IT support with my Mac. My first one lasted about 5 years with no issue. The problem I finally ran into was needing more storage space on my MacBook. Yes, I know MacBooks cost a lot more than a regular Windows-based computer. But let me tell you that I am saving money on less frustration with IT issues and lost time. I just didn’t want to deal with that. And, I feel like a MacBook lasts longer than any other Windows-based laptop out there. How are you going to communicate with your clients via email? When I started, I had my free Gmail email. But, I started to get crap from the people I networked with saying they didn’t think just a gmail.com email is professional enough. Enter G Suite. Once you get your own domain (really cheap investment on GoDaddy) then you can have your own email address using G Suite. And, it is super duper cheap at just $5/mo. Even I could afford that starting out. Other benefits of G Suite and that low monthly fee are 30GB Cloud Storage, Shared Calendars, and access to G Suite’s document, spreadsheet, and similar office systems. Where are you going to save all those files once you get them? Well, you do get 30GB included in you G Suite if you go that direction. I personally also have a Dropbox account. You can start an account for just $8.25/mo. You can also just your laptop, but back that up somehow so you don’t lose any of your files. That is why I preferred a cloud solution like Dropbox or G Suite. They both have tools to let me have the files saved locally on my computer but they are also backed up to the cloud so I can access the files from anywhere and at any time. Very quickly on, I figured out that QuickBooks was the market leader and I wanted to develop a virtual bookkeeping business on that platform. But, 10 years ago, QuickBooks Online was still very under-appreciated among bookkeepers. There wasn’t even any training or even a certification around the program. Luckily, my first client pushed me to QuickBooks Online and that has been my platform for my bookkeeping business ever since. 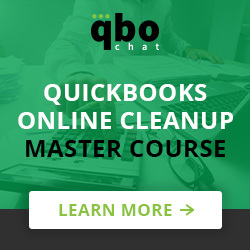 As I mentioned, my virtual bookkeeping practice is supported by QuickBooks Online. I’ve loved the program ever since I started using it. But there are several other options out there. Research them and find out what is the best fit for you. Yes, you can support several different programs, but I decided to be an expert in one instead of a generalist in others. This has allowed me to set up systems in my bookkeeping business to streamline operations and become extremely efficient in supporting my clients. Once you figure out what bookkeeping system you are going to use, then start training in it. My assumption is that you already have the bookkeeping knowledge if you are ready to start a virtual bookkeeping business, but that doesn’t mean you have the software knowledge. The two are very different. If you are utilizing QuickBooks Online, get certified in QuickBooks Online as a ProAdvisor. Intuit’s ProAdvisor Program is free and provides a ton of wonderful resources, including training!! I see 2 big benefits of becoming certified in QuickBooks Online. (1) You understand how to use the software program to be as effective and efficient as possible and (2) Once certified, you get listed on the Find a ProAdvisor website which could potentially start sending you bookkeeping leads! Once you’ve done that, consider registering for one of my Master Courses. 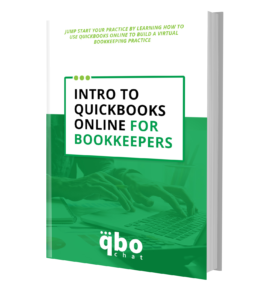 You can start with Intro to QBO for the Bookkeeper. 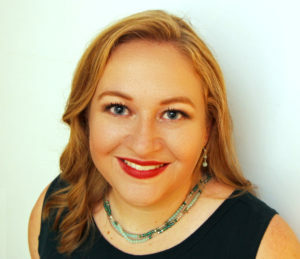 This is where I walk you through how to use QuickBooks Online in your practice and I provide even more tips and tricks to make sure you are profitable in your virtual bookkeeping business. You can learn about all my other courses here or you can just register for my newsletter to stay updated on any new courses that I develop. There are a ton of Facebook groups, LinkedIn groups, Slack groups, and more places for you to connect with other virtual bookkeepers like you. My private Facebook group is Build Your Best QBO Practice. My goal was to create a private community for bookkeepers to support each other and be free to create a QBO Bookkeeping Business that fit their personality and goals. It is an amazingly supportive group, but mine isn’t the only one out there. Just search for any of these platforms for the bookkeeping software that you use and find some communities that you can utilize for support when you need it. Here are a few other Facebook groups run by a few of my friends – USA Bookkeeping Community, Law Firm Accountants & Bookkeepers, and QuickBooks Online Wizards. The term “Technology Stack” will be something you will hear a lot once you start a virtual bookkeeping business. This simply means what software are you utilizing in your bookkeeping business to run and operate your business. Here are a few examples that I utilize in my practice. I think you get this one by now, but I use QuickBooks Online exclusively with my clients by providing on-the-go bookkeeping services. I am in their QuickBooks Online account at least once a week. If I have to handle accounts payable for a client, I utilize Bill.com. I’ve been using them since almost the beginning and they are even a sponsor of this website. 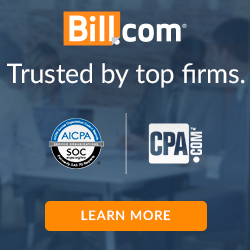 With Bill.com, I’m able to process my clients’ bills in the cloud and then give them the green light to pay their bills virtually. No more printing checks. No more mailing checks. Bill.com just takes care of all of that and I make sure everything is accounted for properly. In order to be an effective virtual bookkeeper, you need to be able to get access to source documentation – like bank statements! Yes, I could get login information for all of my clients to their banks and download the files that I need. Or, I can use Hubdoc which automates all of that for me. It’s an investment at $20/mo per client, but I feel like I am saving at least that much of my time by utilizing their system. If I run across a client that utilizes a bank that doesn’t work on Hubdoc, then I simply don’t put them on it. Hubdoc is all about saving me time and increasing my gross margins. Insightly is my CRM and Project Management tool. This tool keeps me on track with my client work and I can make sure things aren’t falling through the cracks. I love their recurring tasks and I also love how I can delegate tasks. I also utilize this to track my leads. Now, they are mostly people that are signing up for my training courses. These are the basic 4 programs I use every day. I use a ton of others now and have used even a ton more in the past. If you are ever looking for an app to help with your life, you can start by look at Apps.com. This is Intuit’s own website listing apps that integrate with QuickBooks Online and have gone through Intuit’s security testing and approval process. Are You Ready to Start a Virtual Bookkeeping Practice? To recap, when you start a virtual bookkeeping practice, you need to do your initial planning and set that business up properly, get the right technology in place, train on the bookkeeping software you are going to use, and start to grow your technology stack. As you can see, this is all operational. What about marketing and finding new clients? Well, you can always register for The Bookkeeper’s Marketing Plan, which is an OnDemand course offered on this site. And, be on the lookout for even more resources coming out soon by signing up for my newsletter. I want to say how much your saying all this has inspired me to continue on with my own goals. My name is Shari Olson and I am the owner of Olson Accounting 2015 LLC. I have just started with my firm trying to grow it and everything you have said is the steps that I have taken. I am also Quickbooks online certified. That is the program that I also plan to use for majority of my clients. I have also acquired the Hubdoc system to be using. And I have hired a marketing company to get my name out there. With what you have said, has proved to me that this can be done! My firm will be offering both bookkeeping and payroll to start with, and I plan for next year to also offer taxes. I am not a cpa, but I do have a degree in accounting and enjoy the work. Again, I just want to say Thank You! Thank you for the kind words, Shari! I know you are going to rock it! There will be highs and lows, but it is an amazing journey. Wishing you the best.